connection with the outside world in the virtual world. 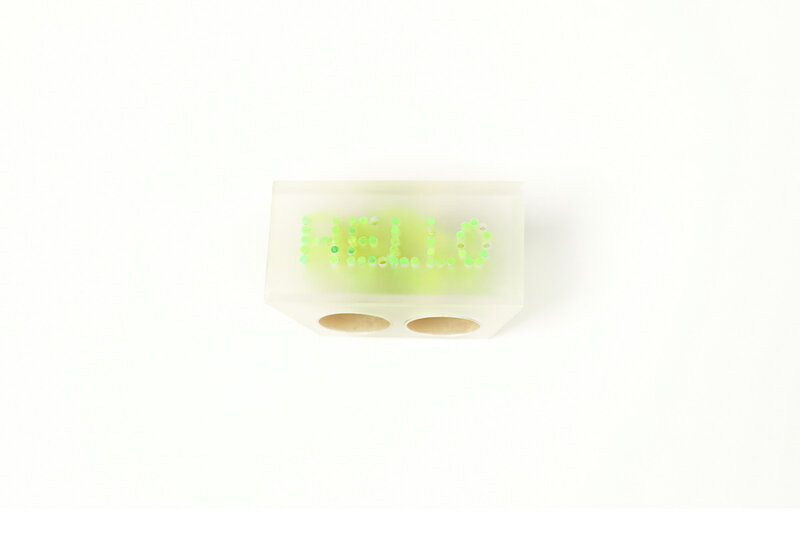 “Hello” is alsoa language that are widely in the world to make greetings despite which language you are using. Utilizing the property of neon color acrylic which illuminate without electricity and visual language of LED boards which are used widely in my city as a way to make advertisement, I repetitively drill hole on transparent or translucent acrylic to make the patterns of the icons or words. From the surface, you can read the most popular, kind-hearted greetings. On the back, acrylic rods are intertwining to give a complicated back for the message.